Have you heard of Ketamine or Ketamine Clinics? Dr. Cindy Van Praag of springcenterofhope.com along with her business partner Tessa Benson, RN decided to open one two years ago without any prior experience. Now they have a thriving clinic after some trial and error. Find out why they opened their clinic and why some people would benefit from an infusion of Ketamine. What are the obstacles, opportunities and investment requirements needed to be successful? Is starting a ketamine clinic a viable way to transition out of the medical-industrial complex completely? What are some of the mistakes she made and the advice she has for others? Cindy Van Praag Podcast.mp3 | Convert audio-to-text with the best AI technology by Sonix.aiDownload the "Cindy Van Praag Podcast.mp3 audio file directly. This mp3 was automatically transcribed by Sonix (https://sonix.ai). 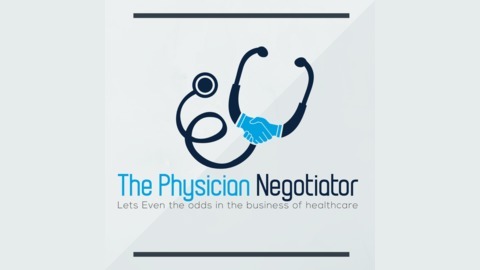 Welcome to the physician negotiator podcast where no decision is left to chance with your host Doc of all trades. And welcome to the show. And today I have a special guest Dr. Cindy Van Praag. She is owner and operator of spring of Hope Center. I believe it's a Ketamine Infusion Center clinic in Spring Texas and the website is called I believe it is spring a Center of Hope dot com. Cindy welcome to the show. Hi. Thank you for having me. Well what a you know. So I've been wondering about the ketamine clinics for a long time. And I just you and I just met at the first annual physicians helping physicians conference and it's called the non physician non-clinical career celebration networking and meeting was just this past April 6th and 7th 2009 in Austin. And I had a blast. I had a blast meeting you and a funny thing happened during the conference. Tons of people came up to me and asked me what type of careers they could start specifically and the ketamine business. And I was like What a coincidence. I met somebody who's an expert at that too well I guess that's me. So. So you know I thought it was really really neat that I met you. I mean myself I've always had a curiosity about starting Academy clinic. I'm an anesthesiologist and I believe you are as well. Yes. I have numerous friends who are also been interested in starting ketamine clinics. So if you don't mind to introduce yourself tell us a little bit about your background and how did you get into the movie business. Sure. Well this all started out in Chicago and you know I went to med school and got my M.D. and went to residency in anesthesiology in Chicago well so I spent about nine years in Arizona as a partner of a large anaesthesia group. It was M.D. owned. So it was pretty fantastic but then moved to Houston for family reasons and did about four years of mobile anesthesia where I would be doing office based anesthesia or surgeons in their office which is a whole nother ballgame. About two years ago however I I moved on into the ketamine business so I opened up a business with a business partner who's a nurse and it's spring center of hope and we provide I.V. ketamine infusions for a variety of patients. And I think I have my whole career is kind of built up to this point. I have always been restless. I have always wanted something more. I attended the Sikh conference in Chicago years ago I attended this you know the BHP conference you just mentioned all of these things I think I'm an entrepreneur at heart and I am so fulfilled with this Ketamine Infusion clinic that started about two years ago now now. So with your office based practice did you start that business or did you did you get. Did you hire into that business. No I hired into that business. And that's that's basically the job that I took when I moved here to Houston and I worked with a great doctor who owns mobile anesthesiologists of Houston and so and together we did a lot of cases in office. So did you learn your business acumen through that practice. I think I honestly just learned it on the job. My husband is not a doctor which is great because he complement me and he is such a business minded fellow that I think I learned a lot from him and he's really supported me this whole time so I just learn on the job and when I say on the job I mean I've been with this spring's center Pope I just jumped right in and I learned this as I went. That's amazing. What gave you the courage to take the finals the final leap if you will. Who I knew personally and multiple multiple attempts almost successful many times and her psychiatrist told her and the mom he pretty much stood up as Hansen said I don't know what else to do for you. So the mom basically found through online research ketamine as an alternative and so we watch this transition or of this girl who is almost she's just lifeless to now. She's another person. It was a 180. So that's what really sparked you know my business partner and I saw that and we're like you know what we can do this. Absolutely we can set this up and save people's lives. And so I really have a heart for. Even though I'm in my background as an anesthesiology man. I have a heart for these mental health people that come in especially the suicidal patients you know and that just gives me chills because I think all of us got into medicine ultimately though to want to help people and I feel like at least in anaesthesia I'm not sure how you feel about this. Me personally sometimes I'm not sure if I'm helping people or not. You know some some days you just kind of go through the whole day and and I feel like I've accomplished nothing but you know it sounds like your work has purpose and meaning and you actually can see your your efforts and the lives that you're changing. As time goes on I realize I do want more interaction with my patients and I do want to talk with them and I'm I'm there for each infusion that we do at our clinic and so I am very bald and I talk nonstop now. So we're being an introvert. I am I'm a different person now. Yeah. You know I would have never guessed that about you know when I met you in Austin you were very open I felt very comfortable talking to you didn't feel like you were guarded at all. So you kind of I mean you let into a couple of my questions but let's let's back up a little bit and first you give me a one I want indication for academy clinic but basically again let's let's take a step back. So most of the audience is gonna be physicians there'll be some physicians though aren't really familiar with ketamine. So basically what is ketamine and what is it used for and how does it work right. So Ketamine has been around for over 60 years. It's I know it well from the operating room. So we use that as an anesthetic as an adjunct to our anaesthesia. It is also used in emergency rooms for. Acute pain control for setting you know let's say just location setting a bone. So E.R. docs are very familiar with it. And also it's been used on the battlefield and I think that's where it started. It's a drug that doesn't cause respiratory depression it doesn't cause a drop of blood pressure is actually a very safe drug to use in a situation like the battlefield for example when you can't monitor the patient as well. So it's been it has a long history of use in those three areas. Now the dose that you use in an anesthetic is much much higher than what you're using in your clinic Correct. Correct yeah. So I if I use a dose in the operating room I will be pushing or giving a bolus and in the clinic it might be that same dose but it's spread out over an hour. So we give it my eye in my clinic I give it by I.V. And I use that dose over an hour. So yeah but minute by minute it is a much much lower dose. And and why why I.V. Infusion versus other mechanisms of uptake. Well my chip Well it's you can give it in many different routes of administration you can give a nasally and I am an I.V.. The reason I chose I.V. is because it's 100 percent up to you know what you're giving is reaching the brain. And I have complete control over it. So I'm using an infusion pump and I can stop any time I can increase my rate I can decrease my rate. That's why I use it and I know for I have I can tell you a story that happened to me when I did I am infusion once but I won't get into that. But I agree with you. It's very unpredictable so with least with IBD you can always turn it off and then you're back to where you started right now. What are the risks associated with doing something like this. Like from a patient perspective. Well there are a couple of things so we screen our patients clip carefully for this. So ketamine is known to have an effect on your blood pressure. So for example it can raise your blood pressure it can raise the heart rate. So we screen for of course hyper uncontrolled hypertension many cardiovascular disease and. Other risks might be if we screen again for this other mental health disorders such as schizophrenia or mania. You don't want to give ketamine to these people or you might exacerbate their. That diagnosis. So if I find a few screen patients appropriately you minimize their risks of the scary things like heart problems or going into mania minor risks would be things like nausea. Or them not being comfortable with this dissociative feeling that you get under ketamine. So there is kind of runs the gamut of minor to major and we try to really screen out those that might have major effects from it so based upon that we know who not to go to who who's that who would be an ideal candidate for this type of therapy. So this both well back up this therapy can treat not just the mental health disorders that all this but also chronic pain. So starting with mental health disorders the ideal patient for depression for example of the treatment resistant depression. So that's a patient who's been struggling with depression who is trying at least two different courses of antidepressants and failed that therapy. That is our ideal patient for depression and moving on to suicidal ideations are the ideal patient is not the acutely suicidal person we're not you know that's for the emergency room but those chronic suicidal thoughts that are plaguing these people day by day and then you move on to other diagnosis we treat we have OCD and anxiety and. PTSD again those things are are issues that have been treated by a psychiatrist or a primary care physician and haven't responded to treatment. So we don't call ourselves the first in line at treating these things. We are second or third in line. We are after these patients have tried and tried traditional therapies and even psychotherapy and that just hasn't worked. And moving on to chronic pain it's you know we treat things like neuropathy and fibromyalgia and again these are patients who have not succeeded with traditional therapies. And I reviewed your Web site and I highly recommend everybody go check it out if you have any interest in this because you did a very very nice job explaining who are these who who these patients are and why they would benefit from it and what kind of success you had with these types of patients. Have a significant improvement that affects our life and they are able to move on which is a pretty good rate. That's incredible. And also I guess your partner's daughter was impacted. So are you seeing a lot of teens as well. We are and we. It has. Has it's well known you know these teens these days as opposed to when I was a teenager or struggling with more depression and suicidal thoughts in particular. And so we are getting a large number of teens or partnering with. CBT therapists this summer. And she is her specialty. So maybe that's why we're seeing more. But yeah it's it breaks my heart but that's how we got into this specific business was that 15 year old girl. Well are you getting. Are you getting the clients who through referral or are you getting them through your Web site. How are they getting to you. Onboard with this. I am not going to diagnose a mental health illness illness. I am not going to I'm not going to tweak your psychiatric medications I am not going to you know I'm not going to work on that side of it. I'm solely providing the ketamine infusion experience. So with those people who find us by themselves we do have them contact their psychiatrist or therapist or whoever is managing their mental health. I see. So. So you can just walk off the street and get an infusion like today as an example. No it's a little hard to get into has been that good. And so again typically mental health referral with with already established diagnosis that way for you. Right. It's it's easy to justify doing the infusion RIGHT. I'LL DO THAT. DO YOU DO do any marketing. We do. And that's been a lot of trial and error as I said we learned on the job. Most of our marketing is online because that's where most of our patients find us. You know early on we did a radio marketing we did Facebook. We did you know we did everything we could think of but I think online has been the most successful what kind of marketing strategies have you been using online. Well honestly we did great with Facebook ads paid Facebook ads until they dropped our account because of the word ketamine. So you're kidding. Word to the wise. Yeah. That we are no longer able to run Facebook ads because they think we are promoting an illegal substance. So we've come up to some roadblocks like that but otherwise we've been using more SEO optimization. We've used Google AdWords and basically just getting ourselves out there everywhere we can online. I imagine online and in your practice I mean you if you've only been doing it for two years so you maybe you haven't even reached that critical number yet where you'll you'll go exponential I'm hoping. You know it's really built up over the past month and a half when the FDA approved as ketamine or bravado in early March of this year business has picked up not only in our location but across the country in ketamine clinics. And that's what was good for you and ask you about that. So what was the final verdict on that. Exactly. Right. The final verdict is the FDA has approved the drug from Johnson and Johnson calls bravado. It's it's also known as S ketamine and for treatment resistant depression. And that is a big win before March of this year. The FDA has not supported ketamine for everything I've talked about. So it's been used off label essentially at our clinic. So now we have FDA backing on the fact that this is a real treatment. The question going forward though is is our insurance companies going to support the use of ketamine so the ketamine and s ketamine are two different drugs really. Ketamine is is a risky drug it's a mix of you know going back to chemistry the two are in essence and tumors as ketamine is just half of that right it's just the aspirin handsomer. So it's as ketamine and that's what they call it. So that is the portion that is FDA approved. Are you getting both or are you just a or are you just gonna give us bravado. So in our clinic we are just giving ketamine. We are looking into giving spore vato. However since it was just approved it's going to take two or three months to really get that rolled out. They have a lot of restrictions on how they can distribute that drug to clinics. The patients have to there's a set protocol that we have to administer that drug in the office and there are a lot of hurdles to jump over. And just you know seeing what patients their feedback is provided they haven't been too happy right now because they have to show up in the clinic for two hours twice a week for the first month and then once a week and they stay for two hours once a week for a month and then every other week ongoing which is a terrible time investment and it's so however it's almost as if they're trying to run their own clinical trial and or kind of pad their pocketbook a little bit there. And I understand I understand that to bring this drug to market test takes millions and millions of dollars. I understand they need to get paid for that but the attitude of the patients is that they're feeling you know they're just getting soaked from these the big pharma. So it remains to be seen how well it's going to take off. Well OK. Well you did mention that a psychiatrist also administers I am ketamine who is who is legally licensed to administer ketamine so. Well medical doctor you know MDD those are can administer ketamine off for off label uses. So psychotic there and to take that back some psychiatrist use I.V. also because they believe it's more effective. There but their guess. Having said that there are many clinics that are run by. Other. Providers such as nurse practitioners C.R. and A's which are. Basically certified nurse anesthetist. And I think those providers are having a medical director that's an M.D. that basically signs off on the ketamine infusions. Now this you know the rules vary state by state. So you know I'm not a lawyer and I know as soon as it can be it can be sticky with each state. But. Any medical doctor for sure can prescribe this. Did you look into that for Texas yourself. Well I honestly didn't need to since I'm an M.D. and I already knew I could I could. But you know going forward if I want to expand and have more clinics in Texas I think it still wouldn't be a problem because I would be overseeing those clinics. So for example if I had a second clinic can I hire a nurse practitioner to oversee that clinic. I could. I was still the medical director so. That's why I guess I don't have all the great answers on. You know what the other more mid-level providers can do because I was thinking that exact same thing in terms of scaling. But you did mention you there and you like it. You enjoy speaking to your patients. So right now seems to me the limiting factor would be you being there. Right. Usually so many hours in a day. It is. You're absolutely right. There is a cap on how much time I can spend there. But at the same time it sounds like you really enjoy it. So it's kind of nice too though right. Exactly. Well that well that answers that question. I noticed I go to your Web site and I started looking at the pictures by the way your Web site is fantastic. I enjoyed being on there. Oh thank you. And there was a picture of you actually have a video of you kind of giving a good example of what a patient would go through through the whole experience right. I noticed in the corner of the office you had a defibrillator. And what kind of monitors do you use when when you have patients in the room and you're you're administering the ketamine. Right. So we use. Yeah I like her different color. We use continuous monitoring. So and this is probably my anesthesia background and I am doing office based anesthesia so I adhere to essentially adhere to office based anesthesia rules and regulations. So they have continuous EEG monitoring. We I do a blood pressure check every five minutes they have continuous pulse ox imagery monitoring. I one step beyond that would be entitled CO2 monitoring which I have not needed to do because I'm not getting down to moderate to deep sedation levels so we do have backup as you saw we have defibrillator actually we have that in the each room it's part of our monitor which makes it convenient and we do have everything else you could possibly need. We have suction we have oxygen we have a crash cart we have. All of my airway devices that I might need to secure an airway. And all of the emergency backup supplies. As far as actual monitoring I think that might very connect a clinic as far as how often they take their blood pressure or even if they do continuously see. I think that's more variable from a clinical now. Now how many patients do. Typically when concurrently we don't we only do two at a time. So I am there were small clinic I am there with my nurse and I feel comfortable with having at least a one on one to one ratio for each of our patients. We have the capability to run three at a time but I prefer to have at least one person available for each patient if they need us. And so you're kind of sitting there like you wouldn't know or just kind of keeping keeping vitals or what do you do what are you doing with them the whole time just talking. No I. Well the rooms are close together. I keep the door open partially. I can see the monitor I can hear the beeping I can hear the tone. And oftentimes our patients will have a family member with them or a therapist with them. And so we let them just do whatever works for the patient sometimes they just want to listen to music. Sometimes they want to hold a therapy session. Other times they just want to close your eyes and not interact with anybody. So it's depends on the patient. But I do check in frequently I'm always listening and I'm always watching the monitor but I'm not always right next to my patient. I'm about 10 to 15 feet away at all times. That's that's awesome. What kind of recovery do so you run the infusion 40 minutes. How long do you watch them for the recovery period. The recovery is usually about 20 minutes and I've been running my patients a little bit longer. So 40 minutes 50 minutes even up to an hour depending on what dose they're getting and how they respond. But even if I run them up to an hour since it's such a low dose they're usually ready to go home in about 20 minutes. And these are for the mental health infusions. Now also you know you mentioned the the regiment for this bravado. What type of regiment do you do for your patients in terms of frequency and length of follow up. Research multiple research papers that shown that that's what's effective when we picked that number six. And I think you'll find that across the country too. So as far as follow up once they complete that series depending on how severe their mental health issue was some people come back two weeks later for a booster as we call it. So a booster would be one infusion and then they might come back two or three weeks after that. Other patients do so well that they don't come back for two or three months after that series of six. So it really is patient dependent as far as how often we see them again in the office. We do call them by phone and make sure they're doing OK. But if they're doing OK. We just we let them come to us after that initial follow up to make sure the infusion we're OK and they they let us know when their mood is starting to dip and then they might need an infusion soon has ever been a case where you've had a series and then they never needed an additional booster. Right. So the point is it's not really a cure. It's just it requires maintenance. Recovery for it to be successful it sounds as a business model it does sound really really really nice. Could you actually are helping some some of the most resistant patients out there. But to do a quick commercial break and we'll be right back. Are you feeling a little tired of clinical practice. What if you knew how to get a non-clinical job you love. What did you could transform your current practice to suit your life and needs. Well believe it or not you're not the first physician or medical profession to feel this way. Hundreds of your peers have also felt this way and did something about it. Don't feel alone or isolated. Take the steps to make your life and career everything you wanted to be. Dr. Michelle Mudge royally owner and founder of Physicians helping physicians have helped many people just like you escape the medical rat race and helped them transform their careers and lives in the process. Really. Now all you need is to take the first step. Head over to P.H. physicians dot.com and see if Michelle could help you if you sign up today using my coupon code. You could even get 25 percent off. The code is X Y W Z 6 1 3 3 3 J. All right we're back. And so this is the physician negotiated podcast. Get on with Dr. Cindy Van Craig correct. That's correct. OK. And so it wouldn't be a negotiation podcast if we didn't talk about negotiation in business. So we've talked about what ketamine businesses and what who you serve. But the question is how hard is it to open one of these clinics. Now you've talked a little bit about some of the struggles you've had. What what more can you share with us about. About the whole process. Well so we started two years ago before there were as many options for help as there are today. So for me it may have been a little more of a struggle. And so I think it starts with research and we I started with reading everything I could get my hands on about ketamine and can I find protocols and doesn't really work in and am I going to hurt my patients or help them and so all of this you know intense reading went on before I decided to open my business. And once I was sure that this was a great great drug to provide. Then came the just the nuts and bolts of how to open a business. And. That was actually really exciting for me because I love to learn and so it just comes with you know picking your name and and finding a facility. And once you have an address and you can move on and you need your DEA license I mean you look up regulations and they're just you you do a market analysis and a business plan and so all these things were a challenge but very exciting and that took a little time. Well little by I mean maybe a couple months when we just spent time setting up the business structure. And then we opened our doors and. Is just really learning as we go. Now when I mentioned today I think folks have a little bit easier time because there are resources. So. For example there is a Facebook group I stumbled upon a few days ago that's called ketamine startup. Oh gosh. Ketamine startup clinic I believe and it has over twenty three hundred people signed up on this Facebook group. And that's where they can go and just ask other people all the you know how how do you set up a kind of clinic. And there are other people out there who are who are literally you know being consultants and helping individual individuals set up their own clinic. So I think there are a lot more of us out there that know how to do it. So I think we're able to speed up the process for those folks that are looking into it now versus two years ago. Now who did you hired to develop your business plan. We just. We did it ourselves. And I think was just input from my husband. We did have a business lawyer. We have our own Web webmaster. So it was just pulling together these people around us and we figured it out. And you know it's a great way to do it. But I think it might be a little slower than hiring someone to help you and what kind of investment requirement did it did you did you need to put forth to start. I think the biggest part of the investment was honestly the property the lease. So we signed for rented an office. And you know if I could go back and change one thing I would not have spent as much money on rent as we did then that just that was a big big loss for money. So what would happen. How did how did that become a problem. It was a space to. I think our space was too big. Our business plan that we put together was probably a little too optimistic. So we were spending a lot of money on overhead which could have trickle down to us. So going back I would have chosen a smaller space and ideally maybe just rented a space a room or two rooms from from another practice and just let it grow and then moved on to a bigger space. So you know if you take that part out of it it really doesn't take too much money to get this started. I think the bulk of the money was on our rent and you know typically when you rent of it did you rent like a vanilla box and then you had it outfitted with him with the walls that you needed in all the other different things that you needed or did you buy a space that was already reconstruct. Oh no. Yeah. No it was it was move in ready. We did not have to spend any money on outfitting that space now when you say you wish you would have not done that what you've done would you've hired somebody to help you with that process or how would you know you said you would have just rented a room and then maybe slowly grow. Have you spoken to somebody about doing this. In the process I'd. I might get I guess it all construct my husband and Kim but that was his idea and I I didn't listen. I said No I'm going to do this my way and I'm because I'm independent right. Now. So I I. That's what I recommend to people now who'd come up and talk to me and ask me how to get started I say look you know just you can get some great rooms and a great office space where you don't you're not responsible for the entire rooms. And so I think that's a great idea to get started while being a cash only business. I guess that's that's really what comes down to it. There's cash flow issues and if you have overhead you want to reduce your overhead so that you can. You could have at least some money coming into that into the process. Now one thing you did online which I thought was very interesting is you have transparent pricing you can just go to your Web site right now. Sprint Center of Hope dot com and there it is right there. Right. So why did you decide to do that I'm curious. Well I think we have always left those numbers up there. I think we've always been transparent because I mean no one is that some people are looking based solely on price and they're comparing prices across town and I think we picked a competitive price range. And number two is I think people honestly get annoyed when the price isn't there and they have to call you to find out. And we didn't want to limit those people either. We wanted as many people call and as many people coming to us as possible. So we didn't really want those phone calls or just says you know answer the phone. How much does it cost. OK. Thank you bye. You know we didn't we didn't want that. We wanted people who were serious. No I think that's amazing. I really really like that model. Now in terms of the price you chose you said you. Did you look at your competitors or how did you come up with that particular price. Definitely. So in our market analysis we studied all of the other clinics and in Houston. And that was you know two years ago. But that keeps going and we're always looking at our competitors. And so that's how we chose our price range. We don't want to undercut everybody in town and have the lowest price in town and I don't think that's a smart idea. But we do want to stay competitive in terms of competition. Would you say that at least in Houston is there a lot of competition or is it manageable. I think we're building up to a fair amount of competition. We've when we started out we may have had another four clinics or five clinics and that's probably doubled since since we started a couple of years ago so you did mention at some point that you would consider doing a second clinic. Are there any areas that are available in Houston now with that kind of growth. I think there. I think there are. I think there are some you know thankfully Houston is as I recall correctly the third largest city in the United States if not force. So it is very large metropolitan areas and not everyone's able to drive all the way into into town. So we are located on the north side actually the suburbs but I think there are some parts of the outskirts of Houston that can be serviced by a new ketamine clinic excellent do it or is it is your business have any seasonality at all or is it always consistent or what it what do you find with that with your business. We have found cycles for sure. We have found that it drops off in January around the holidays. End of December early January. It's dropped off again. I think it is in about summertime we have a little bit of a dip so it does go up and down and again know we've only been open for almost a couple of years but I think it will go in cycles for any clinic as your cash flow then grown like year by year. Definitely it has and especially in the past month and a half. So we're much more happy. And you said the month of the half you had you had a key was it a some type of clinician who was starting to refer to you. Well I think I think it was education with us for Bartow coming to market and the FDA. That's right. That was a big turning point. We know that they almost did the marketing for us. So who he you know you saw doctors on Good Morning America talking about ketamine and so we actually had a lot of calls from people saying wow I didn't know this was out there and I saw this on TV. And let them learn how it can help them. And that's what brings in customers and that's that's what they want and you know I think I think your passion for it really really shines through. Lisa my conversation with you and I'm sure when you're talking to him on the phone the same thing comes through. They really could I could sense that you really care about people and you're not in it just for the money. Having said that so you transitioned would you say you've transitioned out of medicine or you've transitioned into a maybe you've transitioned into retail medicine. And how would you say you feel now that you've done that. Well so I am a part timer so I still practice anesthesia part time and I and I do this kept my ketamine business. It's technically part time that I'm there but really it's on my mind full time. Podcasting maybe. So it's it's going. I will always be looking for something else too. Well you're definitely a natural the podcasting by the way that had mentioned this to everybody but this is your inaugural podcast right. It is first time ever. You're a natural I'm telling you. And I think you sound really happy with this academy business. Oh absolutely. I I'm I'm sure that's coming through today do so. So you mentioned that you're still part time Anastasia. Do you think if someone else were to start ketamine clinic you think there'd be enough to sustain them as a as a sole source of income. Not in the beginning. No it is not even now if I was to stop doing anesthesia. This is not enough to live on. This is not so. This is not a business to go into. It's not a get rich quick business. It definitely has a potential for growth which will take time and it doesn't mean that in the future it won't be couldn't be a sort of a sole source of income. There are some great success stories of a couple. You know Steve Levine is a doctor who is head over 10 ketamine clinics. So he's doing fantastic right. He doesn't need to do another job. But most of the clinics are probably like mine where the docs are the providers are doing other jobs at the same time. Well you know I think you know you and I both obviously attended the physicians helping physicians conference and you know I'm also part time. I'm not full time. And I think it is nice to have multiple streams of income. So congratulations. So this is awesome. You have a second stream of income and I think the more we do that the more we can take control over lives and you did mention that the more control I felt like physicians in general especially employed physicians feel like they have such little control over their lives and so the more streams of income you could have the better. And so I do think that ketamine clinic is a viable option. I personally have contemplated many times people come up to me many times asking me to be their medical director. I just didn't know enough about it to take it seriously and then you know it sounds like a pretty big time commitment too. So I'm not sure if I'm ready for that but Bannister is shrewd. It sure feels good to hear your perspective and what you've gone through because it sounds like it's been very positive for the most part and I think anybody who cares about patients and cares about mental illness they would they would probably enjoy it. I agree 100 percent like you said. Well Cindy any last words you'd like to set us off. Me through this podcast I'd be happy to connect with you for you have any additional follow up questions or just want to learn more about it. Well hey it was great talking to you. I'm so glad I met you. I hope tons of people get value from this podcast. I certainly did and I look forward to talk on you. Thank you for having me my pleasure sir. Thank you for listening. 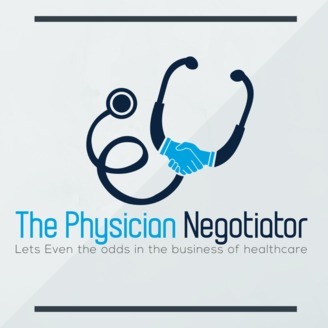 We hope you enjoyed the physician negotiator podcast show notes and other resources. Please visit the physician negotiator dot.com.